Hardwood flooring is a durable, long-lasting, and a value adding flooring option for your home. This is why we at Modern Carpet One Floor & Home in Annapolis, MD carry quality hardwood flooring products and brands for you to choose from. 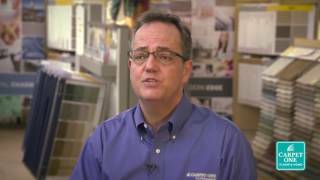 Our flooring professionals are knowledgeable and can help you navigate our selection. We have decades of experience in the flooring industry and can help you find the best flooring for your lifestyle. Hardwood comes in a variety of styles to choose from. We have traditional looking hardwood options as well as rustic and weathered styles. Choose from several colors, sizes, and species of hardwood. Visit our Modern Carpet One Floor & Home showroom in Annapolis, MD or contact us with any questions. Did you know hardwood floors follow trends? Although hardwood flooring trends may not change as often as fashion trends, staying up to date can be important when updating your home. Traditional, transitional, and modern styles are the typical options for home décor. With hardwood, you can choose traditional warm tones that come in single width planks. There are also hardwood options like rustic weather worn options that come in multi width planks for a country home style. Our flooring experts can help you match a hardwood floor to your home décor and personal style. Where you plan to install your new hardwood floors can help determine the type of hardwood you should choose. For example, solid hardwood floors need to be nailed or glued down, and should be installed in rooms that are cool, relatively dry and see limited foot traffic like bedrooms and living rooms. Engineered hardwood comes in floating floor options, and can be installed in spaces with more foot traffic. Engineered hardwood can also be installed in kitchens, hallways, and basements. What Are the Differences Between Solid and Engineered Hardwood? When you shop with us, you will find both solid and engineered hardwood options in our showroom. The most common question we hear is this: what are the differences between solid hardwood and engineered hardwood? Solid hardwood is the traditional hardwood option and is one solid piece of wood. Solid hardwood has distinct features that cannot be replicated by any other flooring. Solid hardwood can be refinished a few times; it all depends on how thick the tongue is on the side of the plank. Engineered hardwood is made from three to seven real-wood veneers pressed together with a piece of premium hardwood as the top layer. This construction makes engineered hardwood stable and able to withstand more use. The planks are also less likely to react to changes in moisture and temperature. As your local flooring retailer, we are here to provide you with quality flooring at exceptional prices. We carry name brand hardwood flooring in addition to our own Carpet One Floor & Home exclusive brands like Rustic River™ and Invincible™. Be sure to visit our Modern Carpet One Floor & Home showroom in Annapolis, MD and speak with a flooring expert today about hardwood. We proudly serve Annapolis, Arnold, Severna Park, Crownsviile. Edgewater , Riva, Pasadena, Gambrills, Millersville, Odenton, Harwood and Lothian. Since hardwood is a hard surface, it is easy to clean up dirt and dust that contains allergens. Learn more about why hardwood is the allergy friendly choice. Prepping your subfloor for hardwood installation is made simple if you follow these steps, or have a professional installer get the job done for you. Owning a hardwood floor can add value to your home in many ways, but its maintenance can sometimes be a downfall. Learn more about the pros and cons of wood flooring. Everyone knows humidity and hardwood do not mix well together. Here are some tips to keep your wood floors protected in humid climates. We briefly went over the difference between solid and engineered hardwood, so let us tell you which is best for your home.